Discussion in 'Growing Marijuana Indoors' started by Busted, Apr 5, 2006.
wow man. very beutiful ladies. love the cola sizes. hope mine get that big. LOL im just on day 10 of flower and the strectch has stopped so let the fun begin LOL. anyways, lookin very nice, you should be a very happy man soon enough. also, your from my neck of the woods which is cool. Damn man, those look amazing. i love the purple on the first shot. Im growing widow as well currently. Good luck. Post pics later too. What stage is your grow at? how long it taken ya to grow girls like that??? gorgeous. how many are there total? 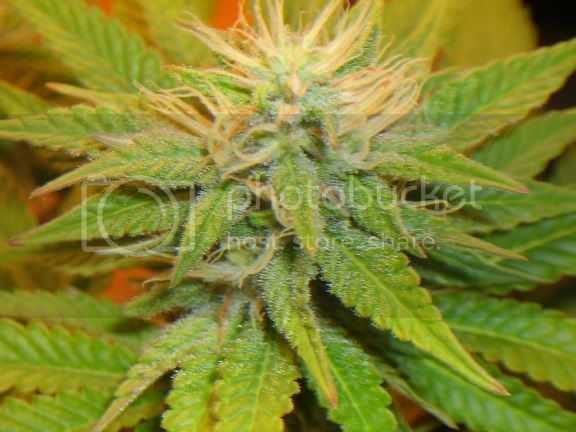 i just wanted to ask something about my little..u may not see details but i'm gonna send a pic soon.it's from the seed that my boy forgat on the table..am i on the right way?it's just 2 weeks.. waiting for replays.. thanx and here is turkey so it's not allowed to smoke or something about weed..
How did you prune them? What kind of lamp (assuming it's HPS) Wattage and what kind of hood? 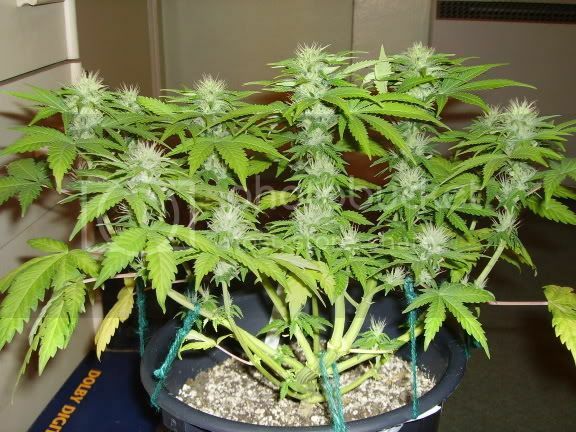 What is the square footage of your flowering room? How many plants do you have? What size containers? What height were they when you put the lights on 12/12? Yes your on the right way, just read as much as possible. Try the FAQ section, you should find plenty of helpful info. I've got 2 plants in a 2x2x5 foot cab, so 4 sqft. They were both topped at the 6th node then just lst'd. I'm using all cfl's (no hps) 240watts and hood is home made . Pot size is big lol don't know exact size but i've since then got hold of square pots for next grow. The height was around 12-16 inchs when they went into 12/12. Cus i'm using cfl's i wanted to get a short evenly spread bush to get better light coverage, any taller than they are now and the lights wouldn't be so effective i don't think. noone wants to help me...... don't even know a thing about my little little babe...it's just growing i cannot help them there is 3 of them..
thank u so much..yes as i have told before i'm wwriting from turkey so i can not tell u wut i'm trying to say.. i hope my little and my english are gonna be allright i will try to send clear photo , i would be so happy if u could help me..i want to make my boy absolutely high.to make him surprised.. so how can i know what sort of weed it is. You need to have the 3 plants in pots in its own area. It can be in your closet, or somewhere in your house that can have up to 12 hours of uninterupted darkness. During this stage of the plants life, you should have some ( assuming you want to be on the safe side ) flourescent lighting over them. 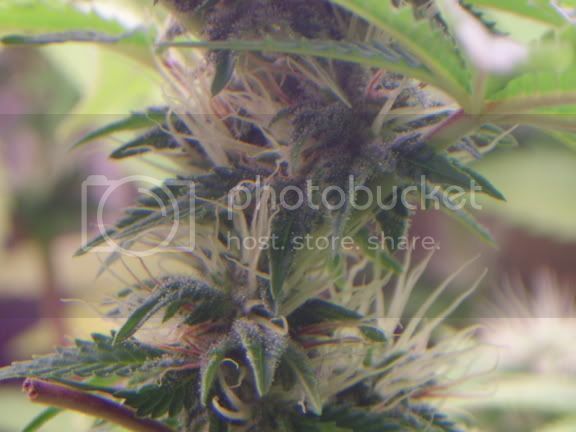 And during this stage, you should have the lighting on 24 hours a day and the light has to be close to the plant, an inch or two away is working for me. Im personally using a 150w flourescent light bulb to grow me seedlings. Me and you are pretty much at the same point in growing too. Ok, once the plants have gotten 8 to 12 inches tall, ( or some people jugde by anywhere between the second and third node on the main stem ) you turn the light scedule to 18 hours on/6 hours off. The light feeds the plant and it needs the 6 hours off to rest and such. Once the plant become mature enough ( I go by when the stems have alternating nodes ), you change the light scedule to 12 hours on/12 hours off. 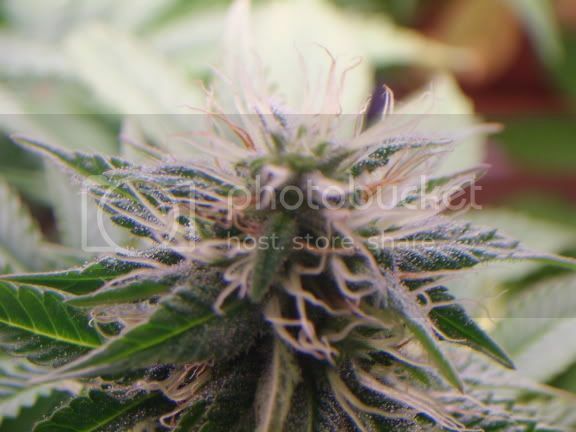 Now your putting it in its flowering stage, this is the point where your marijuana starts to grow its buds and get heavy. 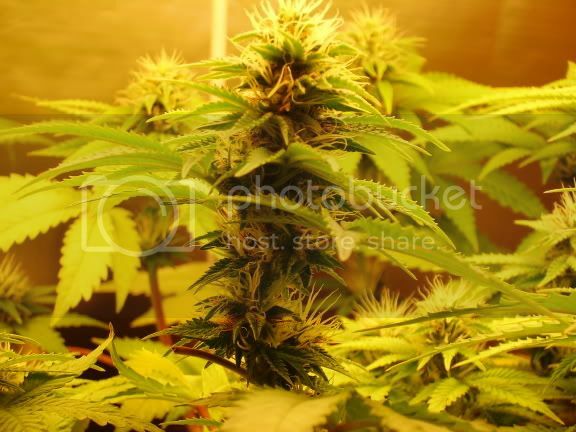 Flowering marijuana can take up to two months, and starting your seeds and veging them takes up to two months...for the best yeild and whatnot. So its a long process. And there are a lot more details that you should try to read up on before starting your first grow. Ive come to realize its a lot more complicated than it looks. That should keep you on the right track though untill you can read up on it more. HIGH All, welcome to The City pearl5....can't say what kind of weed it is..just have to wait...just remember not to water too much. day 33 of flowering for pineapple express!